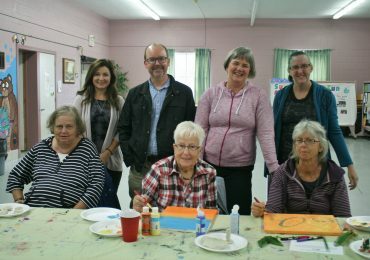 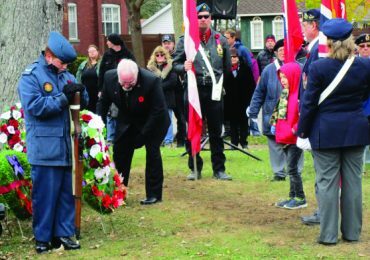 People gathered for Remembrance Day ceremonies across Haldimand on Sunday, November 11, 2018 to pay tribute to past and current military personnel. 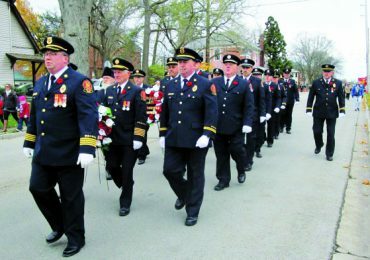 This included Cayuga, where dozens congregated around the cenotaph outside the courthouse. 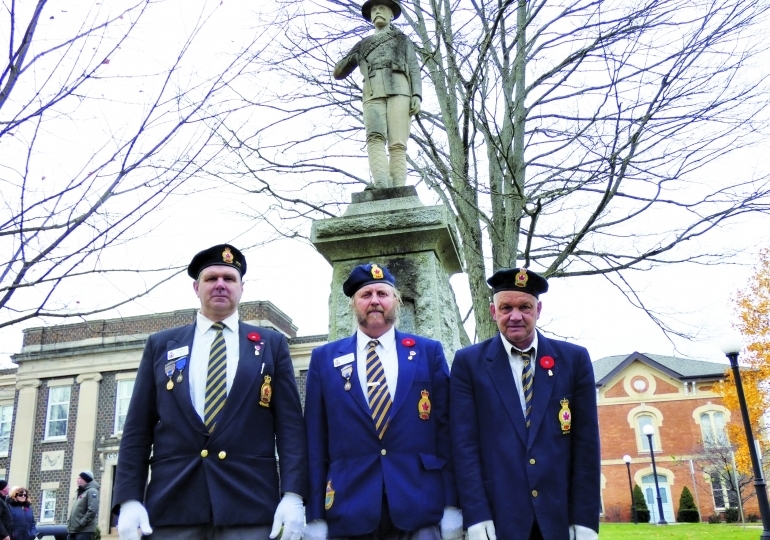 Shown in front of the cenotaph are Jeff Hunt, President of the Cayuga Legion; Doug Dring, Sergeant at Arms; and Dean Summer, Colour Party member.